Since 2016, the Ford Mustangs running in Formula Drift have had one of the most wonderfully bizarre suspension setups I’ve seen. It’s back again for this season and I am still obsessed. I’ve written about this setup before, which is not unlike how a dirt track car is put together. It uses weight jacking, something that I will not even pretend to completely understand, but I believe works to physically pre-load corners of the car to change how the weight is felt in the car. The best explanation I could find got pretty complicated, with one Camaro forum post likening it to spring loading different leg of your table. Again, didn’t make a ton of sense. Hot Rod has more on the topic, if you’re curious. As far as it looks to me, it kind of tricks the car into being more rear-biased than it might otherwise be. Driving it looks like balancing an upside-down baseball bat. 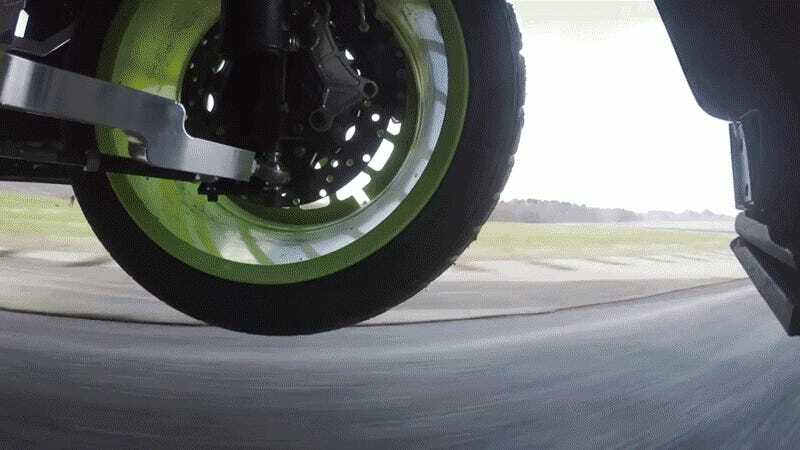 Our own Jalopnik commenters point out, though, that really any car with a soft rear and super stiff front swaybars will lift a front wheel in cornering. You used to see this on touring cars of the 1960s quite often, three-wheeling across the Nordschleife. As it is, both of these explanations deal with weight centers and roll stiffnesses and other things that I will continue to glaze over when they’re explained to me. Whatever! It looks amazing. 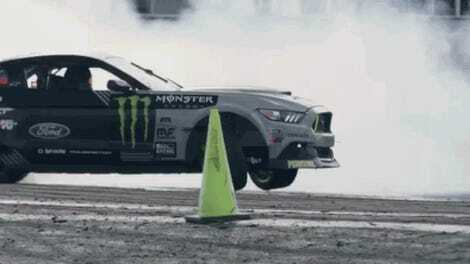 The 2018 season hasn’t been off to a great start, I must say, with Chelsea DeNofa getting punted off track by the drift Ferrari and Vaughn Gittin Jr. throwing away any chance of beating Forrest Wang by spinning out. For now, I’ll keep enjoying how entertaining these things are to watch.